A 79-point phase-detection AF system 3 (including 15 cross points) has points widely placed within the most frequently used central area of the frame. It keeps tracking and fast autofocusing on a moving subject. High performance in tracking moving subjects to enable continuous autofocus even during continuous shooting at 8 fps. 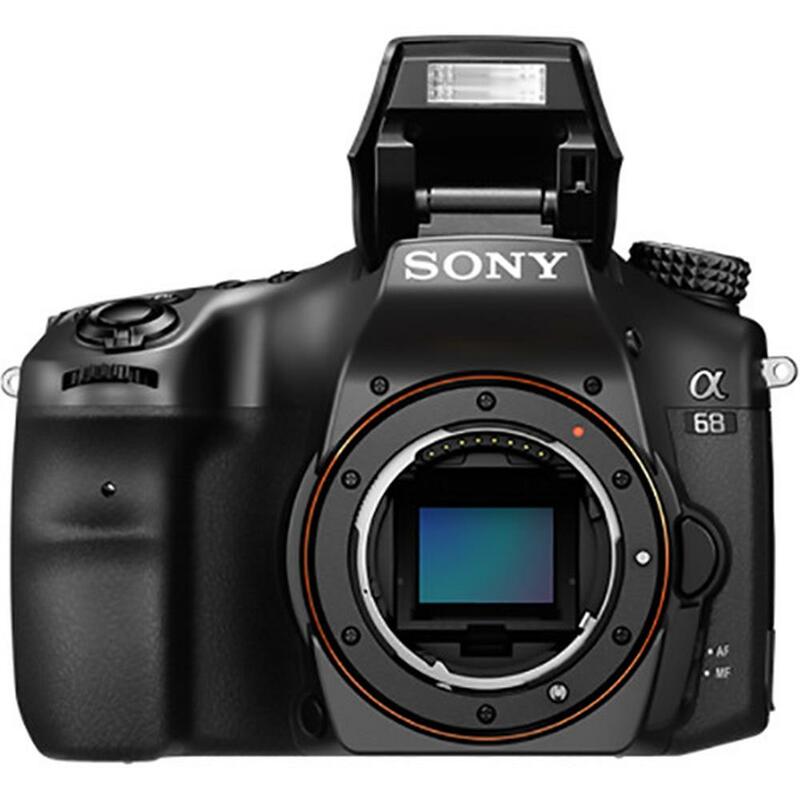 Sony's unique design replaces a DSLR moving mirror with a fixed translucent mirror, which enables fast shooting with continuous use of accurate phase detection AF. Effective image stabilization for any compatible lens, throughout the entire focal length range. 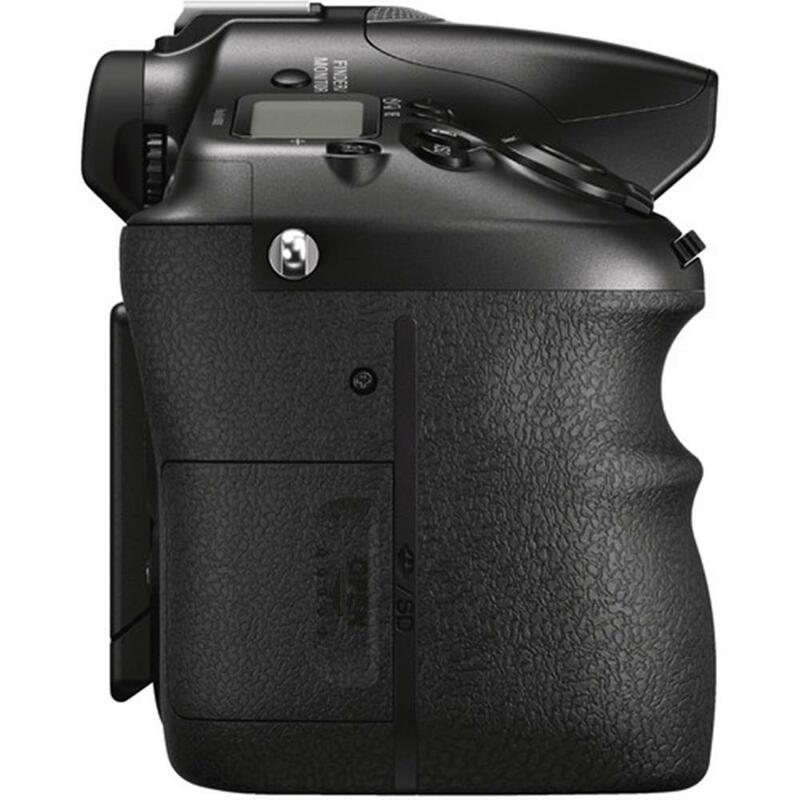 Helps stabilize the viewfinder image when the shutter button is halfway pressed. The large Exmor CMOS image sensor with approximately 24.2 MP 4 boosts sensitivity and reduces noise with gapless on-chip lens design eliminating the gaps between micro-lenses to collect more light. 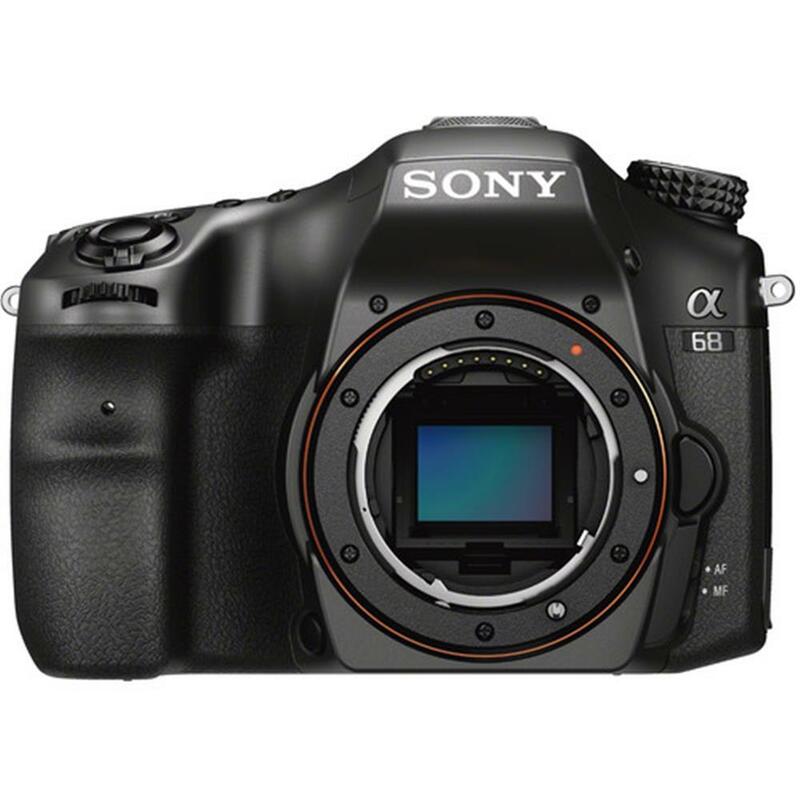 The processor handles enormous amounts of sensor data to allow high-speed shooting of superb low-noise images. 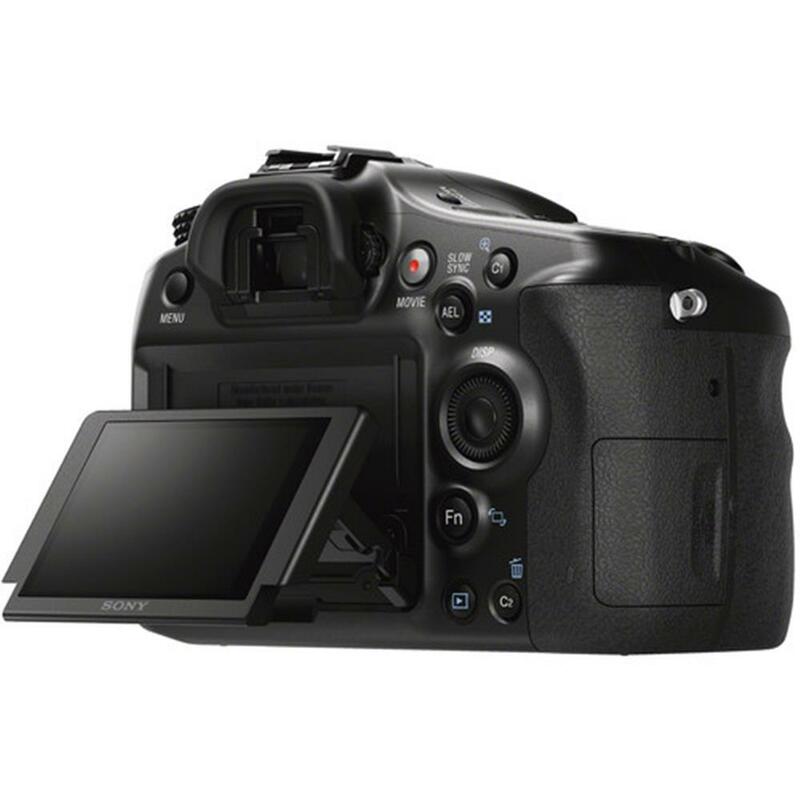 Advanced built-in features include detail reproduction technology to produce more realistic images, diffraction reduction to correct blurred details, and area-specific noise reduction for clearer, more finely detailed images even at high ISO settings. Area-specific Noise Reduction selectively divides the image into areas based on patterns (such as edges, textures, and evenly colored areas like blue skies), then applies the most appropriate noise reduction for each area. For extremely high image quality and minimal noise, record movies in the high bitrate XAVC S 1 format, which enables Full HD image recording at 50 Mbps (30p/25p 6, 24p). 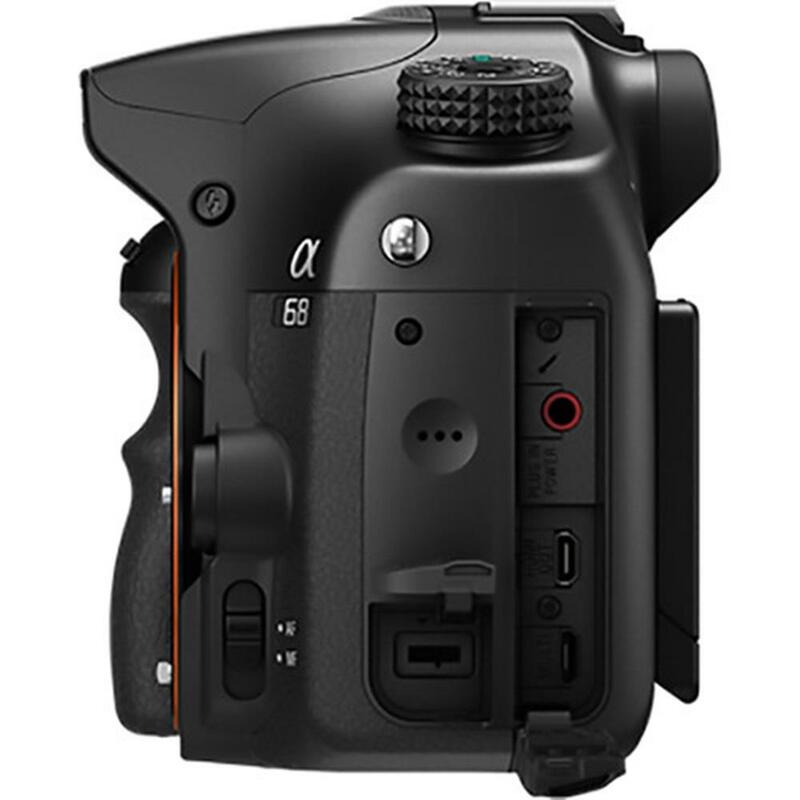 This "must-have" feature of this midrange camera facilitates quick, easy setting and confirmation, especially with a tripod setup. 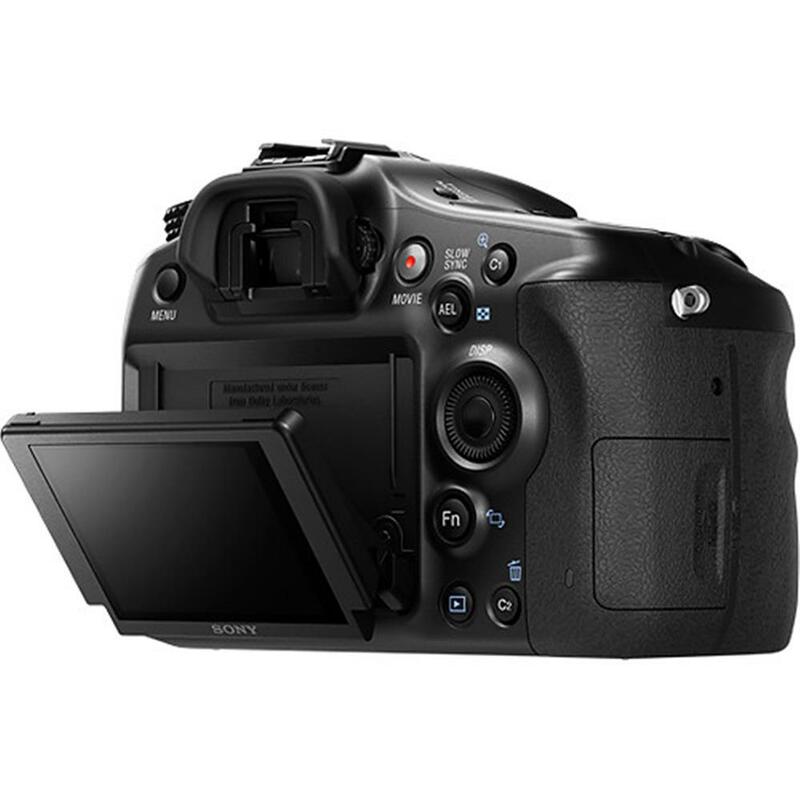 Tiltable LCD screen (2.7-type) to clearly shoot at max. 135 degrees up and 55 degrees down, enables shooting over the heads of people in crowds, or on the ground for a startling view of pets and flowers. Brightness is adjustable. 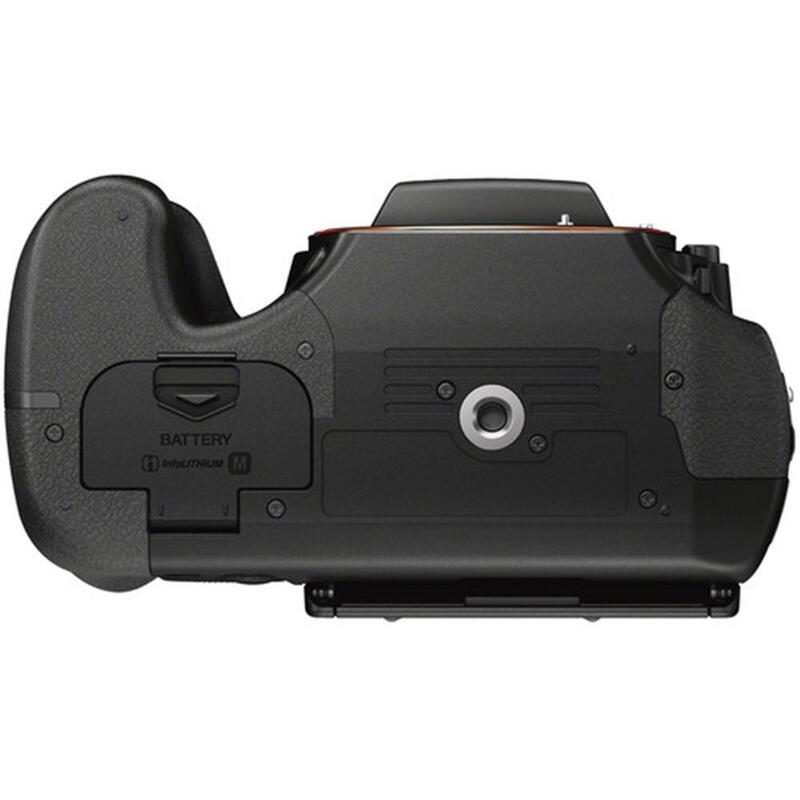 The control wheel on the back is popular among a7 series camera users, and you can modify its functionality according to shooting intention for quick changes of camera settings as you look through the viewfinder. 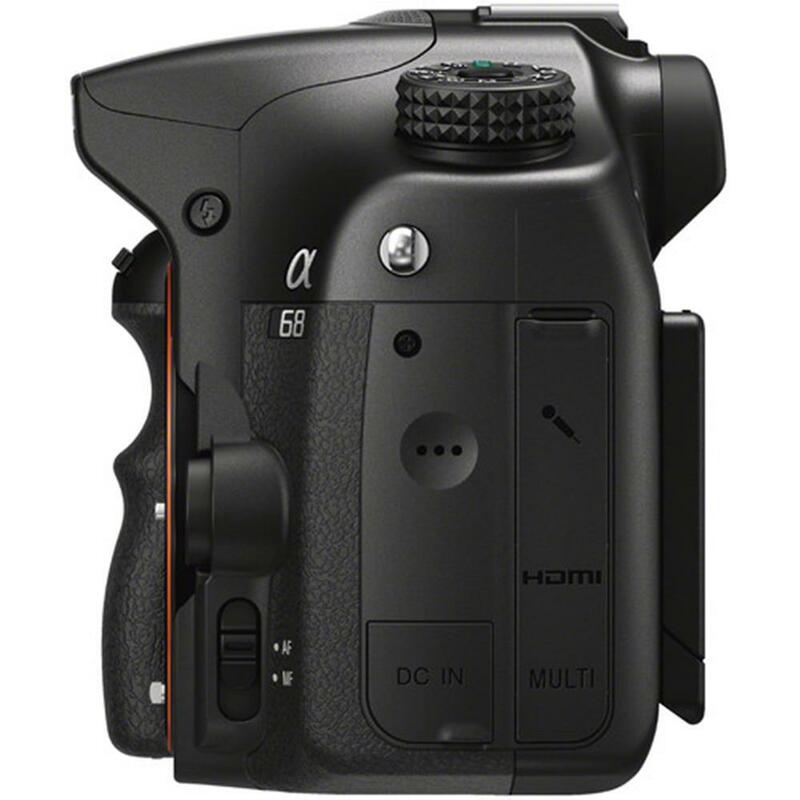 OLED advantages of tonal gradation, color reproduction, and contrast, this electronic viewfinder makes it easy to view true-to-life images. It also lets you compare different effects of setting changes, as well as use MF Assist and a Preview function to fine-tune focus and preview shots, including those with defocusing effects. Assign frequently used functions to the customizable buttons of your choice. Easily reassign 11 buttons to activate any of 49 functions for faster, more intuitive operation. The Multi Interface Shoe lets you mount wide-ranging accessories including a high-capacity flash unit, a video light, or shotgun microphone for enhanced movie shooting and more. Each tab in the settings MENU has a color on the tab for intuitive operation. Still: 1/4000 to 30 sec./Bulb; Movies: 1/4000 to 1/4 sec. 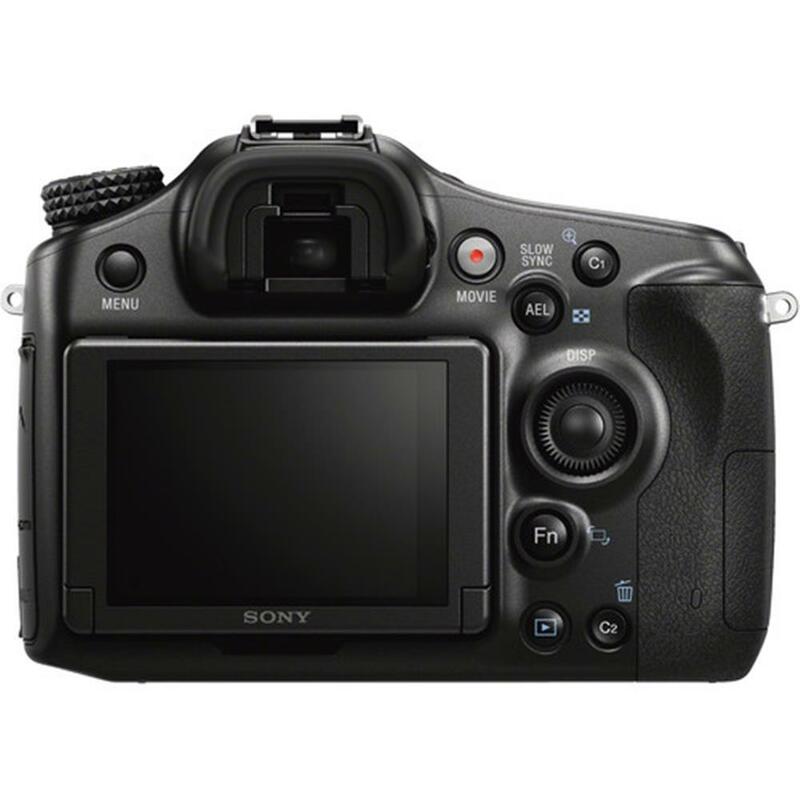 Flash off, Autoflash, Fill-flash, Slow sync, Red-eye reduction (on/off selectable), Rear sync., Wireless, High Speed sync. 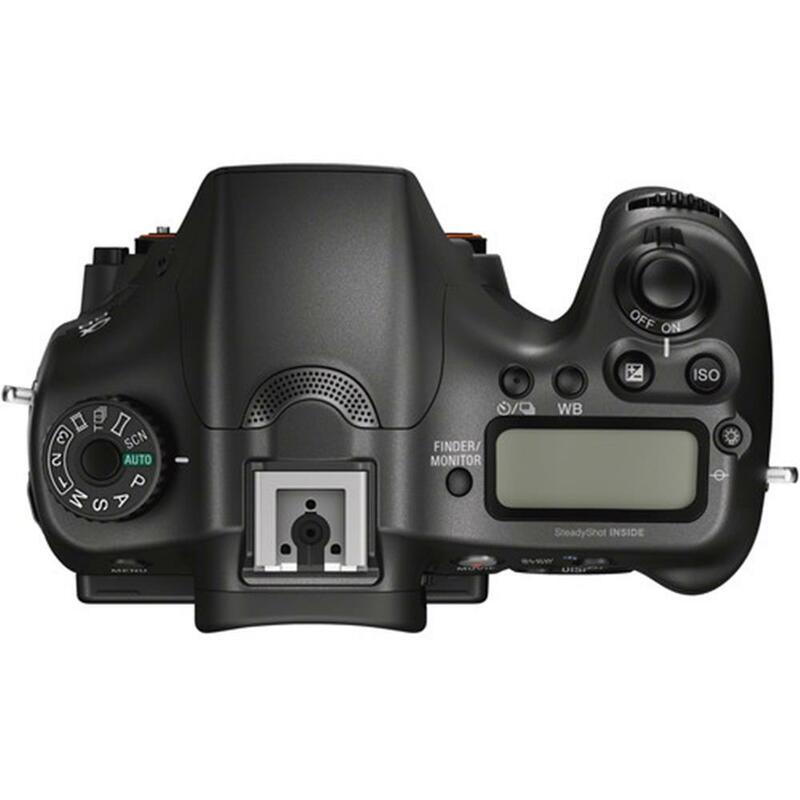 Web Code: 567SON102 Only: $949.99 Special order item.